The extremely expensive game of musical chairs that is blockbuster-sequel directing just got another player: According to The Hollywood Reporter, Spanish filmmaker Juan Antonio “J.A.” Bayona has just signed on to the direct 2018’s Jurassic World 2. That gig was open because Colin Trevorrow, who directed the first World, has moved on to Star Wars: Episode IX, though he’s reportedly working on the JW2 script. 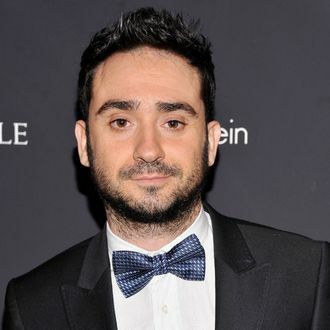 Bayona was previously attached to direct the sequel to World War Z, but dropped out of that because of time constraints. (His next film, A Monster Calls, comes out in October.) Anyway, Bayona’s previous filmography includes a horror film and a movie about a family whose vacation was ruined, so the Jurassic Park franchise seems like a perfect fit.